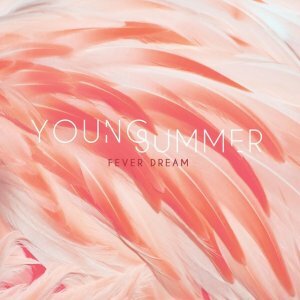 Nestled in the middle of ‘Fever Dream’, the debut EP from Young Summer (singer Bobbie Allen), is a sumptuous electronic ballad: Waves That Rolled You Under. The lush production blurs arpeggiated synths with touches of glittering harp and heavily reverbed guitars for a sound that’s soaked in nostalgia, whilst Allen’s gorgeous vocals float effortlessly above. “I never could say, I never could say again what I wanted”, she laments with total sincerity. There’s a likeness to London Grammar, but with a more gently ethereal quality that slowly washes over you. The remaining two tracks of the EP are totally contrasting. Title track Fever Dream is predominantly electronic, with its pulsating, fuzzy synth lines, whilst final track Why Try is acoustic with a bluesy, folky feel that’s suitably complemented by Allen’s smoky vocals. Both tracks are imbued with sadness, though it’s Waves That Rolled You Under that truly tugs at the heartstrings. Whichever direction a full album might take, Allen undoubtedly can beautifully weave her way around a ballad. Listen: ‘Fever Dream’ is available now in the US.